Need a quote for an electrical switchboard upgrade cost? Is your existing switchboard giving you problems or is it outdated? Having to deal with these issues can be frustrating. Prices will vary depending on your existing installation, call for a free quote and consultation 0431720172. By upgrading your switchboard you can improve your electrical supply while keeping your family safe. We are sure you will be satisfied with our work and the electrical switchboard upgrade cost. Here at HP Electrical Contractor, we can help you through the process of figuring out what you need and how much it will cost. 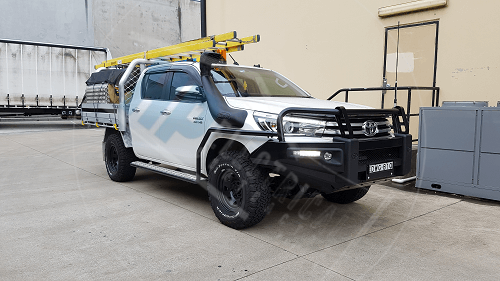 We are based in Fairfield East – South Western Sydney and can provide home owners in all areas of the Western Sydney region with an electrical switchboard upgrade cost. We are able to perform 1 phase and 3 phase upgrades. Your switchboard is the primary component in supplying your home’s power needs. Most switchboards in older homes need to be replaced. Outdated switchboards can be very dangerous and can cause an electrical fire. It is crucial you keep it in peak working condition. The electrical switchboard upgrade cost is minimal in comparison to the damage that can be caused by a faulty board. Older switchboards are known to contain asbestos, which is a carcinogenic. Asbestos is harmful and should be taken out of your home. Asbestos removal needs to be done properly due to health risks. If we need to install material in a switchboard that contains asbestos the panel will be removed and replaced. It is important you take preventative measures, and have your switchboard upgraded or replaced, to protect your family. An electrical arc can occur and cause a fire if too many appliances are being used at the same time or if there is a loose connection. Often these types of fires start in the back of the fuse box and spread through the wall cavity into the roof. This can easily turn into a deadly situation. Older switchboards were not designed with today’s high demands in mind. They usually don’t have the required RCDs. These RCDs help protect against electrical fires and shock. They are capable of protecting people from electrocution by instantly cutting off the power source. Earthing systems also need to be replaced to meet current standards and to cut back on fire hazards. If you are adding new equipment, such as an air-conditioner, to your home you will need a switchboard upgrade. 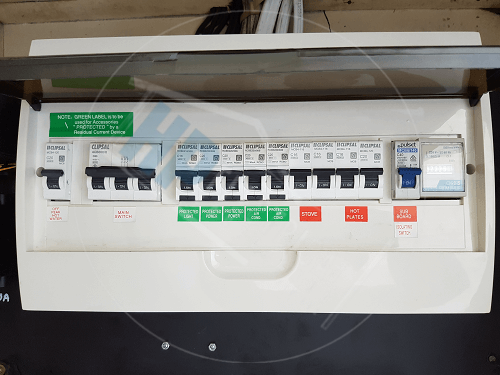 If you are installing a 3 phase air conditioner system and you currently have a 1 phase supply you will also need a 3 phase upgrade which includes new metering. We are able to give you the electrical switchboard upgrade cost before any work is started. Older switchboards are not able to handle today’s electricity needs. Today we take electricity for granted and it is normal to have several appliances running at once. This puts a strain on your system it is unable to handle. Our reliable and experienced electricians are experts in their field and they can complete your job in one day. Once the job is done we will also remove any rubbish and discard it for you. We are able to provide you with electrical switchboard upgrade cost so you know how much you will be spending. Call to book in on 0431720172 or via our contact form. 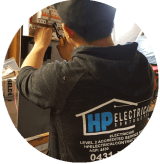 Here at HP Electrical Contractor, we are able to meet with you to look at your job. We will give you our recommendations and a free quote on your electrical switchboard upgrade cost.